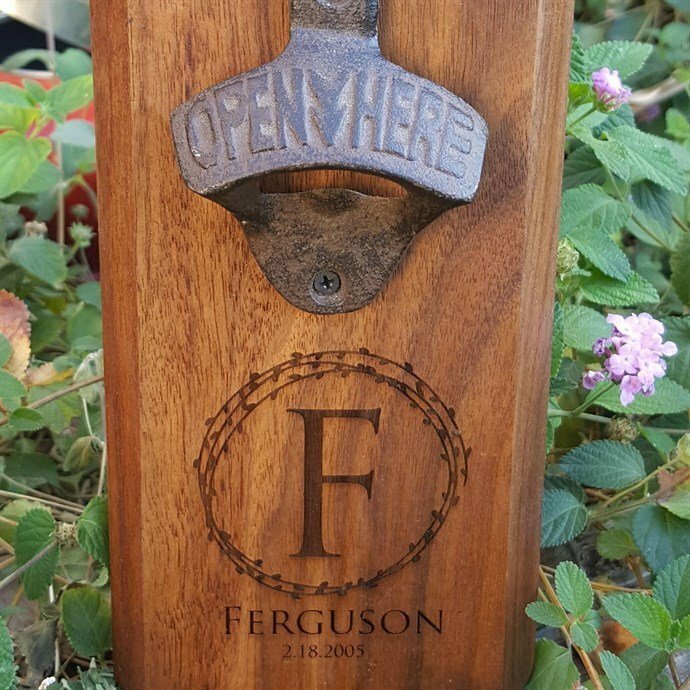 Personalized Bottle Openers On Sale Today! KC has created new bottle catches! Family Name and established items are the new trend! Our team designed, then laser engraved on bottle catches. Our favorite items make the perfect gift for yourself or the special humans in your life!